The remote Palaeoproterozoic Granites–Tanami Orogen (GTO) is part of the North Australian Craton. The rocks in the GTO include Neoarchaean and Palaeoproterozoic successions that are older than late Palaeoproterozoic cover sequences. These rocks consist mostly of tightly folded Palaeoproterozoic, greenschist-facies, sedimentary, volcanic, and granitic rocks. 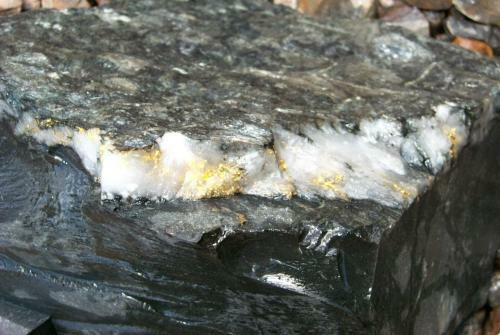 The importance of the region is that it contains several orogenic and possible porphyry gold deposits that highlight the considerable exploration potential for the undiscovered mineral occurrences Several economically important gold deposits and prospects are present, such as Callie, The Granites, Tanami, Twin Bonanza, Old Pirate, and Coyote with a combined reserve of over 400 tonnes of gold. However, research in the region has focused largely on the deposit-scale, and resulted in limited advances in understanding of the geology and metallogenesis of the region. Thus, an understanding of local (camp-scale) to terrane-scale controls on gold mineralisation is fundamental to the discovery of new deposits and can only be achieved through a multi-disciplinary approach. My thesis addresses a problem that is topical and important, both from a scientific as well as a commercial point of view by providing a fluid history framework to guide systematic and more efficient exploration of this important but at present under-explored region. My study will help to define the nature of the mineralizing fluids associated with gold deposits in the orogen, aiming to delineate how many mineralisation events took place, their age, gold deposition mechanism, and their tectonic controls. The study will be the first to compare and contrast alteration mineralogy, geochemistry, and geochronology from a range of deposit styles in the GTO to understand the fluid history of the terrane.